Council adopted the "city of Austin's" taxpayer-funded legislative agenda for next session. Substantively, it's predictably terrible. But the bigger affront is how the city is taxing all to subsidize the political views of some. "At the state convention, three months ago, in late June, the Republican Party of Texas adopted as one of it's top five legislative priorities the abolition of all forms of taxpayer funded lobbying." "Item #15 on today's Austin City Council agenda is a textbook example of why." "Taxpayer funded lobbying is an inversion of the First amendment." "The first amendment is designed to protect private citizens from the government; it doesn't work in the other direction." "Taxpayer funded lobbying is compelled speech, it's tyranny of the majority, and it tramples on individual liberty." That this author doesn't agree with the substance of the agenda being adopted is an annoyance, but it's not the real issue. 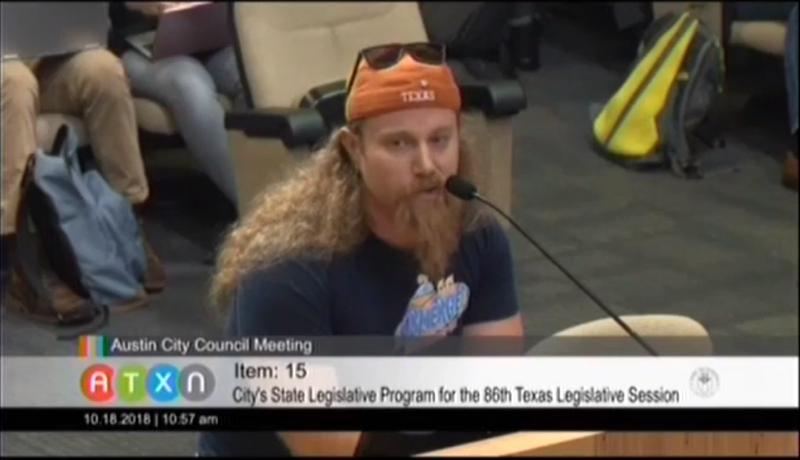 "If we were in a different part of Texas, and there were a left-wing citizen whose local government was about to use their tax dollars to [lobby for]...the bathroom bill, that would be just as wrong." "It would still be compelled speech, it would still by tyranny of the majority, and it would still be an affront to individual liberty." On a practical level, the specific agenda council is adopting "will do nothing good" on various affordability issues. "When this comes up during the next legislative session, just remember that item #15 is a textbook example of why."